This event "Cirque de l'Afrique - Summer Block Party" @ Prince Charles has already ended on 08/18/2018. Here you can find upcoming events for this location! The deadline at our guest list has ended on 08/18/2018 at 5:00 PM. 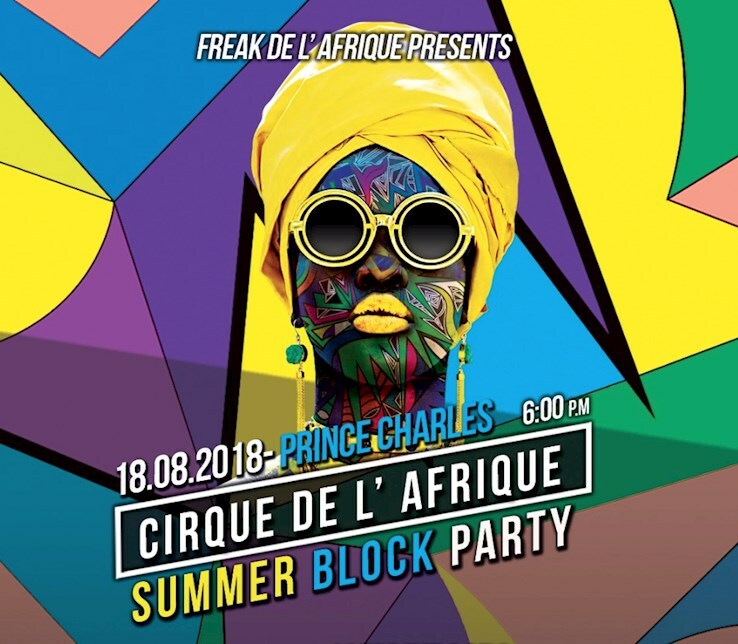 Welcome to this special edition of Cirque de l'Afrique where we will take full advantage of the Berlin Summer! 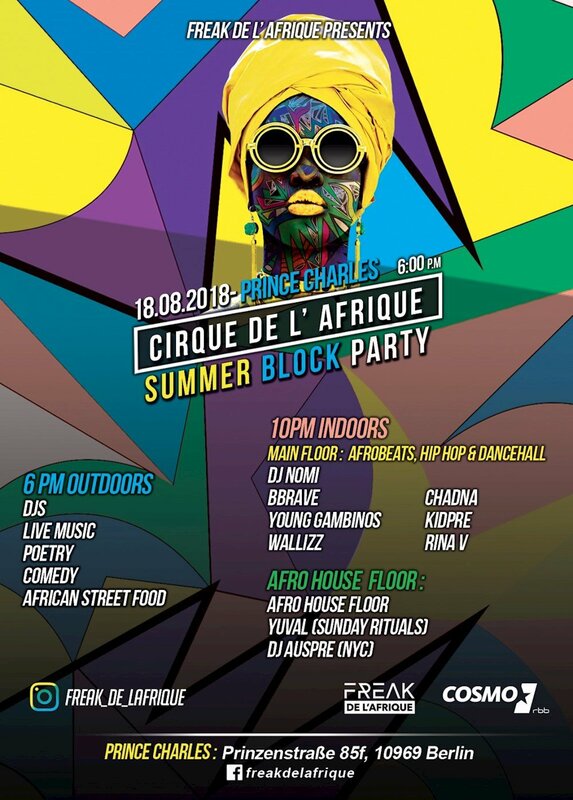 For the early evening we gonna enjoy the beautiful outdoor area of Prince Charles with some Afrobeats sounds, dope live artists, beautiful African art deco and great African street food. At night its gonna be the usual party madness on two dancefloors. The Main Floor will be hosted by the Freak de l'Afrique DJ Family who will bring you the best in Afrobeats, Coupé Décalé, UK Afrobeats, Hip Hop & Dancehall sounds. The second floor is hosted by the Sunday Rituals crew, the notorious dance collective who meet regularly in Berlin for a crazy Sunday afternoon House dance session. So be prepared for some deep Afro House sounds & crazy dance moves on their floor!